Access your M3 data in Microsoft Excel. Use Excel as user interface on top of M3, allowing you to change, add and delete data directly in M3. What if M3 could tell you about business critical issues, realtime? Vince Butler Dashboard will show you exactly what needs your attention. Most M3 customers are struggeling, securing their data. 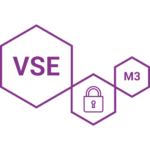 VSE Gives you 360° view of security of users and roles in M3, and make M3 compliant. Access your M3 data in Microsoft Excel. 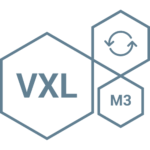 VXL allows you to use Excel as user interface on top of M3, allowing you to change, add and delete data directly in M3. Most M3 customers are struggeling securing their data. 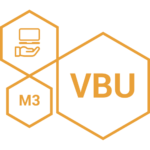 VSE Gives you 360° view of security of users and roles in M3, and make M3 compliant. Our consulting services is mainly focused around M3, where we target to have in-depth knowledge and cover all standard process inside M3. 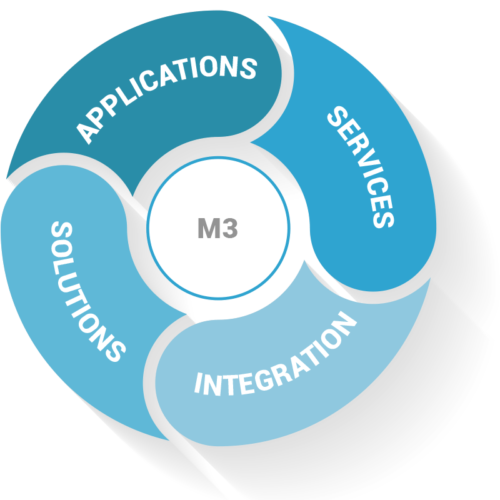 Our integration team handles all kinds of integration in and out of M3, whether it is API’s , MeC or other brooker or services. Our solution team handles unique request of changes where extra developement is needed in Java, .Net or tools as WEB SDK, etc..
VINCE BUSINESS MODEL HAS THE SINGLE PURPOSE OF INCREASING THE VALUE OF OUR CLIENT’S INVESTMENT IN THE ERP SYSTEM M3. Our consulting team delivers SERVICES to efficiently set up and use the M3 Business Engine to support the business process in a best possible way. Our INTEGRATION team makes sure all interactions in and out of M3 runs smoothly including communications with 3rd party vendors. Our PRODUCT team develops add-on/satellite applications outside M3, to increase the accuracy and efficiency and to cover blank spot not covered by M3 itself. SOLUTION makes tailor made solutions according to your specifications. Optimera AS has been working closely with Vince AS for seven years. The nature of our requirement was challenging with an emphasis on reliability, scalability, and functionality of the ERP, Infor M3 that was being implemented. Vince has been an incredible business partner in understanding our needs and challenges. The focus was on providing core functionality and process design with the use of Infor M3. Vince took on the role of Infor’s Solutions Manager to not only implement the ERP but also helped in implementing the complementary modules such as EventHub/ION to improve the competency of Infor M3. We believe Vince, led by a team of skilled senior professionals, with a strong focus on competence and credible management style is an attentive and professional organization with the ability to deliver on agreed terms. This is what builds great relationships!